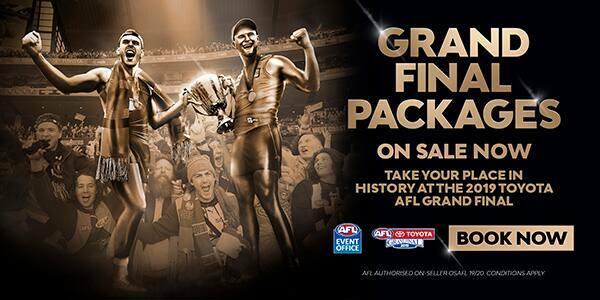 Witness ‘Heroes Become Immortals’ at the 2019 Toyota AFL Grand Final with a package from the AFL Event Office. The ultra-premium hospitality and inner-sanctum experience package, ‘The Ultimates’ - Atlantice and Bistro Guillaume. The hugely popular ‘Grand Final Series Pass’ which offers access to one (1) match in each week of the 2019 Toyota AFL Finals Series. Packages include exclusive guest experiences, your own guaranteed reserved seat to the 2019 Toyota AFL Grand Final and the option to add accommodation. VIEW THE PREMIERS LOUNGE FLYER.